The Magnificent Book of Ocean Creatures introduces young readers to the diversity of marine life through stunning, oversized illustrations and fascinating facts. 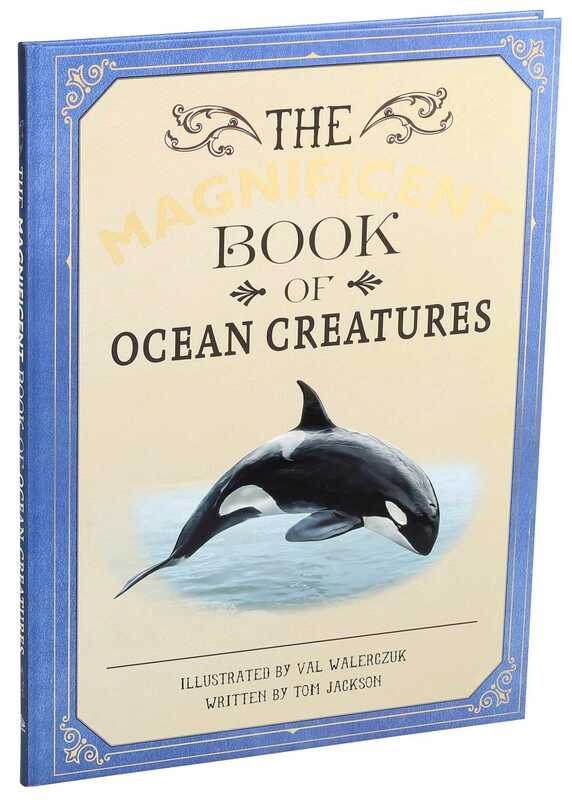 The world's oceans are teeming with amazing animals, and The Magnificent Book of Ocean Creatures brings this undersea world into the reader's hands with dazzling, oversized illustrations and captivating facts. Each of the 36 animals is presented in full color, accompanied by interesting information about how it survives in its natural habitat. Key characteristics of each creature are also presented in fact boxes for easy reference. From the reclusive giant squid and the awe-inspiring blue whale to the colorful insulamon freshwater crab and the mysterious oarfish, the magnificent creatures of the oceans lie in wait on these pages. Val Walerczuk is a professional artist with international experience in Poland, the United States, Germany, and now the UK. He has attended a few schools of art, but believes that being primarily self-taught has enabled him to succeed. His passion is the creation of all kinds of illustrations, photographs, and artworks with accuracy and attention to detail, and he believes that anything is possible when it comes to creating art. Val lives in London.